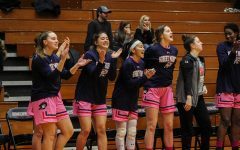 MOON TOWNSHIP — The University of Connecticut held Saint Francis’ Jessica Kovatch, the all-time leading scorer in the history of the Northeast Conference, to just nine points in the first round of the 2018 NCAA tournament. 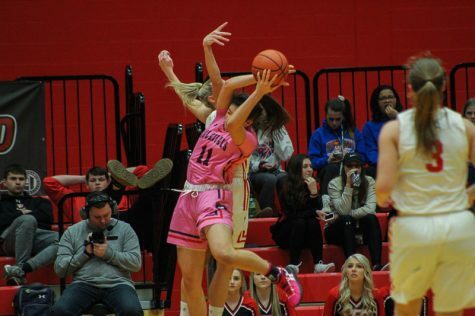 When Kovatch faced Robert Morris on Monday, she was held to a career-low six points in the biggest and most meaningful win of the season for RMU women’s basketball (15-9, 12-1 NEC). The Colonials sit 3.0 games ahead of the three teams tied for second in the NEC with just five games remaining in the regular season. 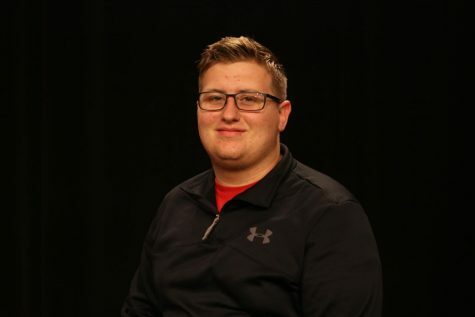 But a similar challenge for the Colonials lies in waiting on Saturday as RMU hosts second place St. Francis Brooklyn (15-10, 9-4 NEC), who boasts a scorer nearly as dangerous as Kovatch. Jade Johnson, a junior from Adelaide, Australia, averages 19.4 points per game for the Terriers this season, a mark good for 34th in the entire nation. 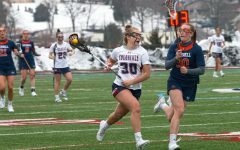 “You got to know her really well, know how she scores, her tendencies the actions they do to get her open and to get her going,” said RMU head coach Charlie Buscaglia. Johnson has been a proven difference maker all season for the Terriers, scoring a career-high 33 points against LIU Brooklyn (3-21, 2-11 NEC) just a month ago while shooting a 43.9% clip from three-point range all season long. The Terriers as a whole have proven to be an offensive force to be reckoned with. St. Francis Brooklyn arrives to Saturday’s match-up scoring 74.9 points per game, ranking as the 45th-best offense in the NCAA. “We’re working on that right now, just trying to figure out not just with Jade Johnson but all the players on their team of what we have to do to make sure we are not allowing them to be in a comfort zone offensively,” said Buscaglia. 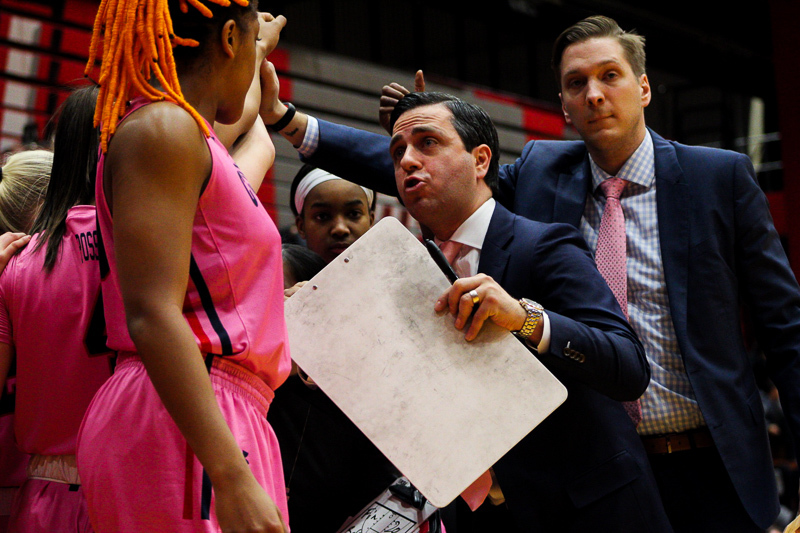 But no matter what team this Colonials squad faces at this point in the season, coach Buscaglia emphasized the importance in continuing to play their brand of basketball. 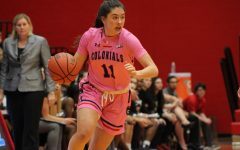 Robert Morris boasts their own nationally ranked unit as the Colonials currently sit 10th in the NCAA in scoring defense, allowing just 54.9 points per game. The story line for this team all season certainly has been their formidable defense which has wreaked havoc in the NEC. If Robert Morris wins against St. Francis Brooklyn on Saturday and LIU Brooklyn on Monday, with a loss from both Saint Francis (12-13, 9-4 NEC) and Sacred Heart (13-11, 9-4 NEC), the Colonials can clinch the first seed and home court advantage in the NEC Tournament which starts March 11.